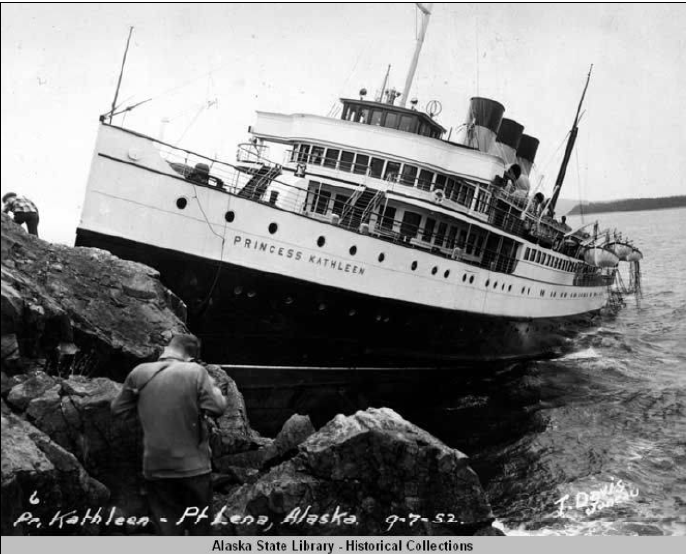 Princess Kathleen Defueling - Global Diving & Salvage, Inc.
On September 7, 1952, while operating in bad weather, the 369-foot passenger vessel SS Princess Kathleen grounded at low tide on Point Lena, a rocky outcropping north of Juneau, AK. When the tide rose, the bow remained aground while the stern was swamped. 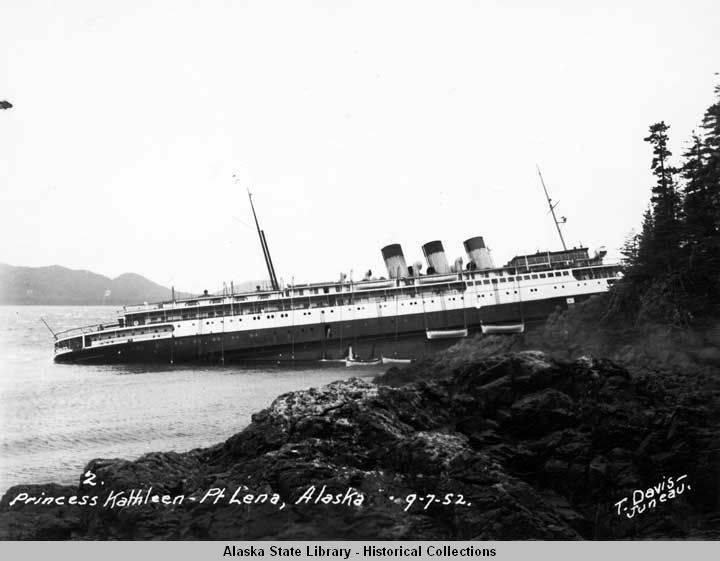 Approximately 10 hours later, with all passengers and crew safely ashore, she slipped from the shore into deep water and sank. 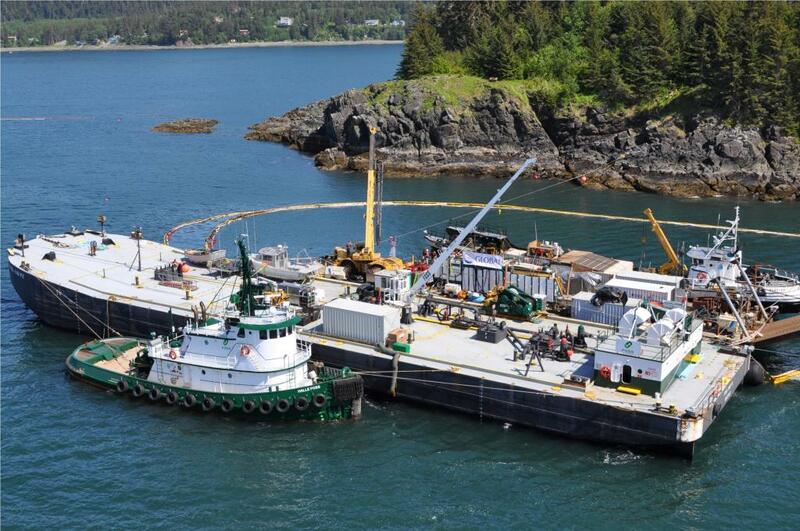 The vessel lay on her port side at depths ranging from 52 feet at the bow to 134 feet at the stern. Since her sinking, periodic releases of fuel oil were observed in the vicinity of the wreck site; the amount of fuel remaining aboard the liner was unknown. Built by John Brown & Co., in Glasgow, Scotland, Princess Kathleen was launched in 1924. Her maiden voyage was from Glasgow to Vancouver via the Panama Canal. From there she entered the Canadian Pacific’s Vancouver-Victoria-Seattle coastal service for which she was built. Taken over as a troop transport in September 1939, she returned to Canadian Pacific in 1947 and resumed service on her old route. Two years later, she was transferred to Canadian Pacific’s Vancouver-Alaska cruise service and ran her regular route until she sank in 1952. 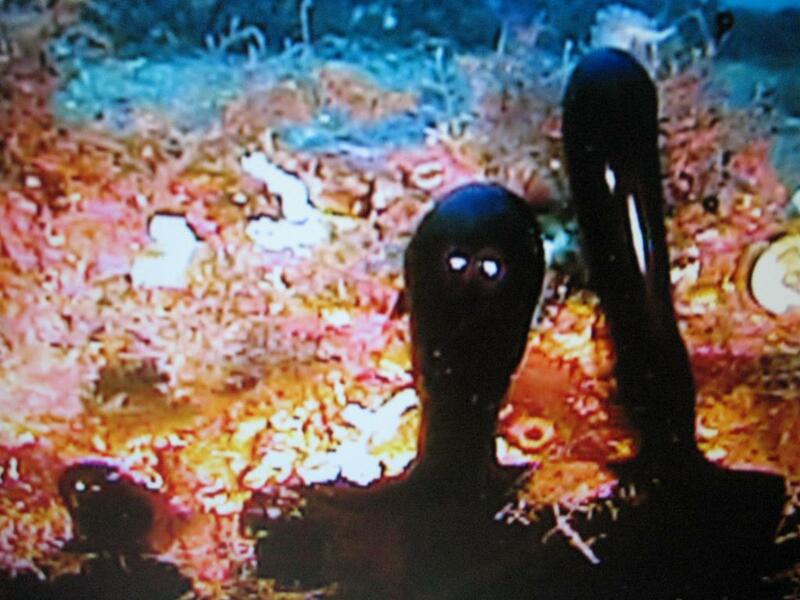 In February, 2010 the US Coast Guard contracted Global to assist with an investigation to determine the source of an oil sheen observed in the area of the wreck. 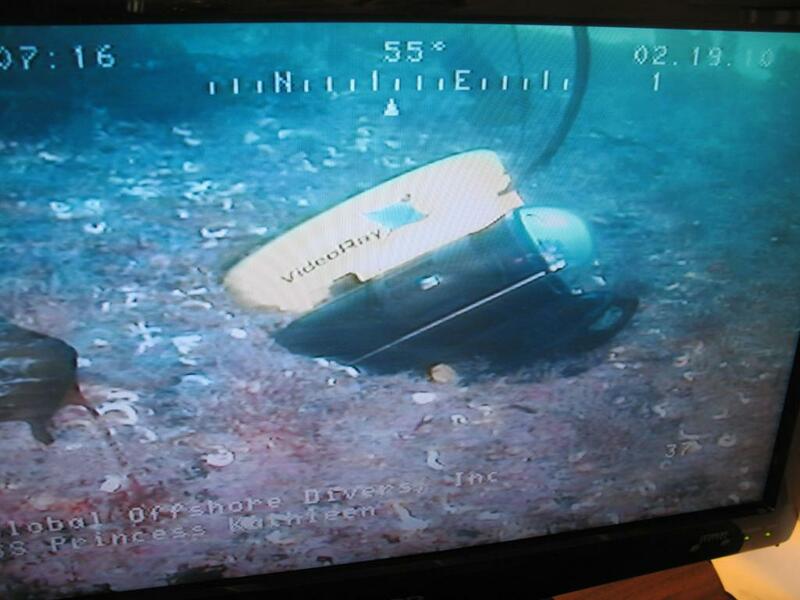 Using divers and remotely operated vehicles (ROVs), Global collected physical samples of the oil to be analyzed; analysis verified the wreck as the source of the pollution. An assessment of the wreck was made using non-destructive testing to determine the hull’s condition; crews also used NTD methods and drilling to determine the level of the oil still in the tanks. 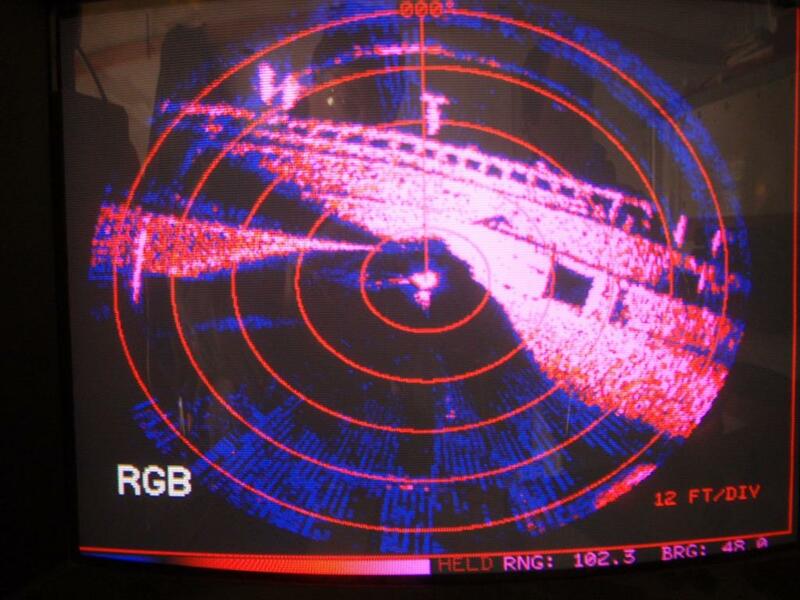 Sonar imagery of the hull was also taken and combined with physical measurements and old ship drawings to create a 3D computer model of the wreck. This allowed engineers to see the individual tanks, estimate the amount of fuel oil remaining aboard, and determine the vessel’s orientation on the sea floor. Once it was known how much oil remained in her deteriorating tanks, the decision was made to remove the oil from the Princess Kathleen. Using the 3D model, the engineers developed a pumping plan to access the tanks through hot tapping in order to remove as much of the oil as possible. Due to the age of the oil and the location’s cold water temperature, the oil had to be heated to allow for pumping. Using hot water circulation through the tanks, more than 130,000 gallons of fuel oil was recovered from the Princess Kathleen. 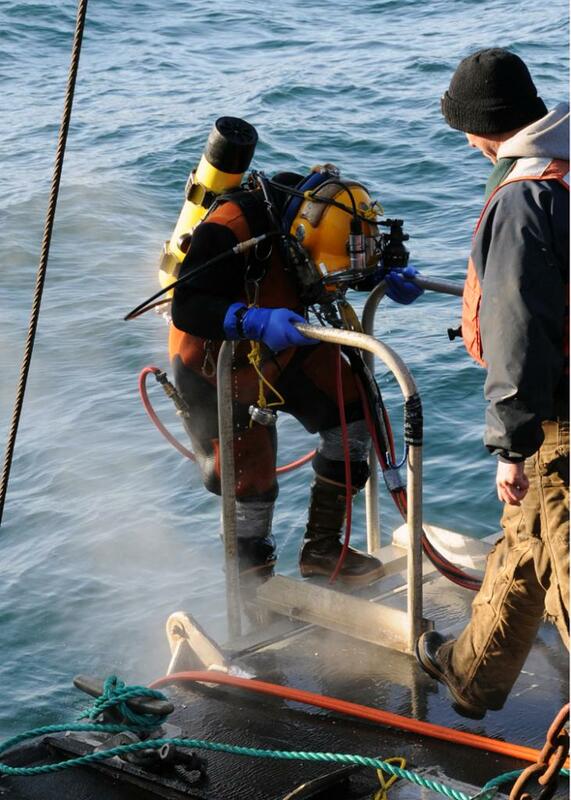 Divers also penetrated into the ship and recovered 2,500 lbs of solid waste and an additional 218,000 gallons of oily water that had migrated from the corroded fuel piping system into other areas of the wreck. 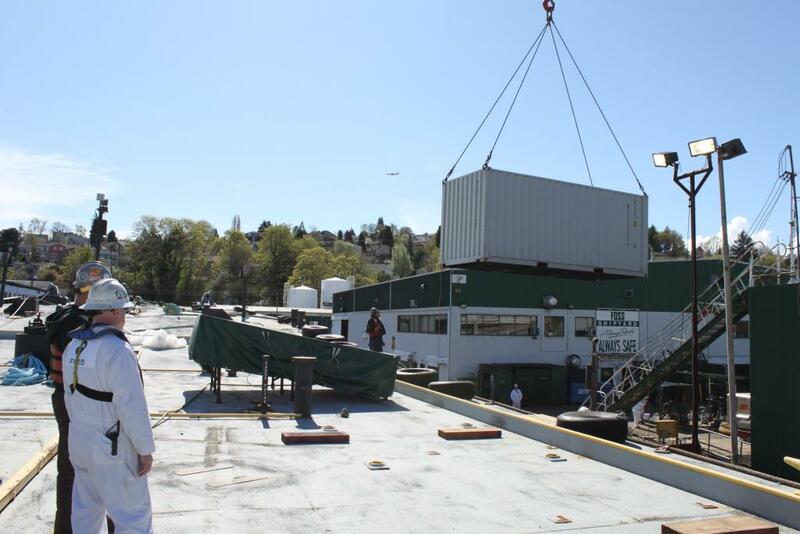 After the vessel was defueled and all contaminates removed, divers welded all tank access flanges shut, securing the popular site for recreational divers.